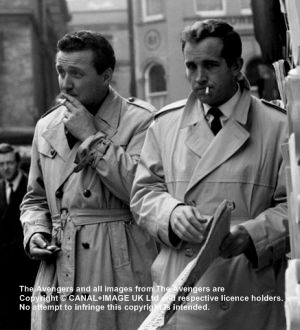 Initially, Dr. David H. Keel (Ian Hendry), who is about ten years younger than John Steed, was the main character of The Avengers. After his fiancée Peggy Stevens (Catherine Woodville) gets murdered in the episode Hot Snow, he meets an enigmatic man, John Steed, who offers Keel to bring the murderer of Peggy to justice. Although it is not clear for whom or what organization Steed is working for, Keel accepts and from now on Steed and Keel are partners who are fighting against the criminals of the underworld. 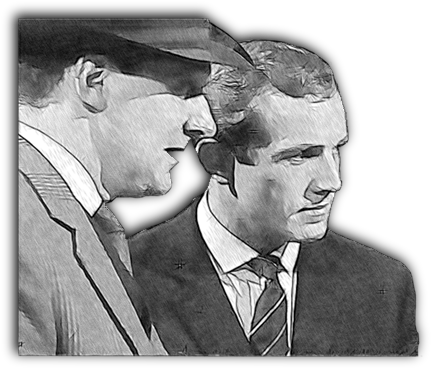 In the second episode of the series, Brought to Book, Keel is capable of finding the murderer of his financée Peggy with John Steed's help. David Keel is a doctor. In the first episode of The Avengers, he has a private practice with an older colleague Dr. Tredding somewhere in Chelsea. His proficiency is important for some of Steed's tasks and like Cathy Gale and Emma Peel he's an amateur. Due to his profession, Dr. Keel is a humanitarian and a man of compassion. Unlike Steed, he will not use every means to achieve his goals. Steed worked with Keel only one year in 1961.